Corey is an independent journalist, audio producer and photographer. Corey was a founding member of the hip-hop magazine Blaze and an editor at Vibe. He has been a writer for Entertainment Weekly and Newsday. His writing has appeared in the Best Music Writing 2004 anthology, The New York Times, The Wall Street Journal, Los Angeles Times, and other national publications. Corey’s audio features have been distributed by National Public Radio, Public Radio International, and the CBC. 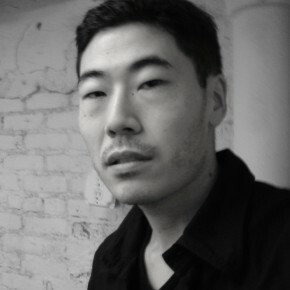 Much of Corey’s journalism focuses on the currents and crosscurrents of urban, immigrant, and international culture. His work has been recognized by the Center for Documentary Studies at Duke University, and his stories have taken him across North America and around the world. Among other wide-ranging themes, he has reported on the culture of post-9/11 New York, the social and musical changes of post-Hurricane Katrina New Orleans, and the new political outlooks arising from post-Election Day Chicago. Corey obtained an Honors BA in American History from the University of California-Santa Cruz. He is a past fellow of the Knight Digital Media Center’s multimedia and news entrepreneur programs, as well as, more recently, a scholarship winner for The Poynter Institute’s first-ever seminar on journalism innovation and computer programming. For current information on Corey’s activities, see Corey Takahashi. Corey explored the question of what communication platforms- and journalistic styles-will retain relevance in the age of global media. He also conducted extensive “research” on the diversity of local cuisine, inspiring his first forays in food writing.